First cut a 5 1/2" x 8 1/2" piece of Stampin' Up! Pretty in Pink card stock and fold it in half for the base, a 4" x 5 1/4" piece of white for the middle layer, and a 3 3/4" x 5" piece of patterned paper for the front layer. Next stamp the flowers' first step in Stampin' Up! 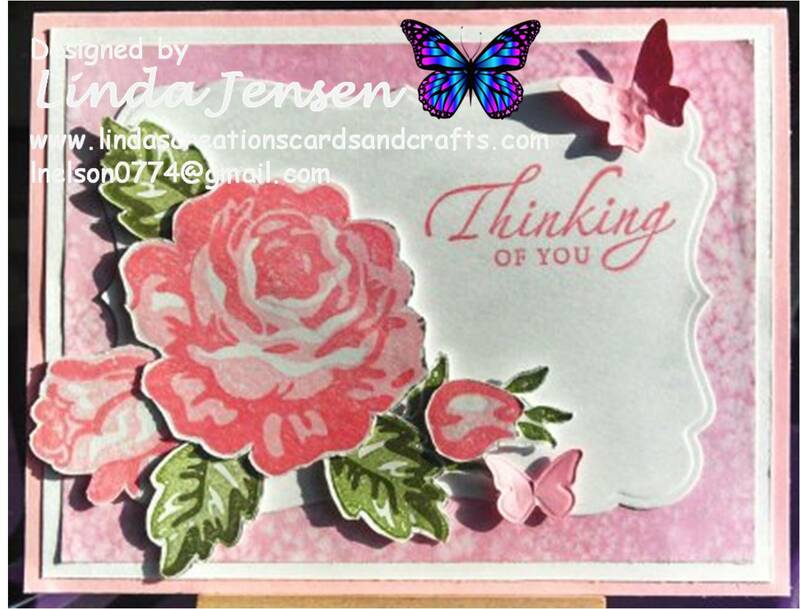 Pretty in Pink ink then using a Stamp a ma jig stamp their second step in Stampin' Up! Positively Pink ink over the first step. Next stamp the leaves' first step in Stampin' Up! Old Olive and the second step in Stampin' Up! Always Artichoke inks. Then cut out the flowers and leaves and set them aside. 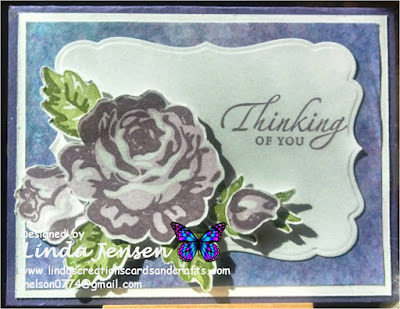 Next cut out the label background with a Spellbinders Labels Seventeen die, attach it to the front layer then stamp the sentiment in Positively Pink ink with a stamp from a Stampin' Up! Sincere Salutations set. 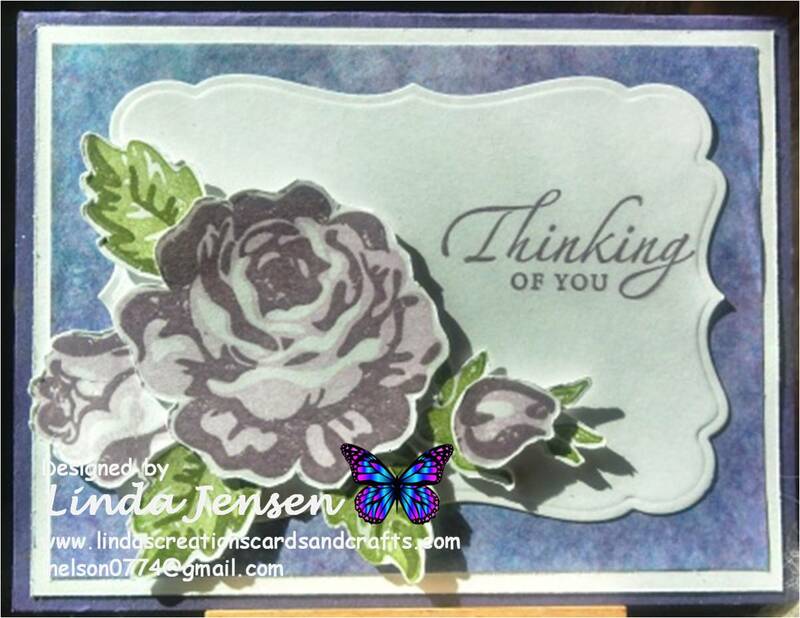 Then cut out the butterflies with a Stampin' Up! Beautiful Wings embosslit. Next attach the butterflies, flowers and leaves to the front layer with mini pop dots, attach the front layer to the middle layer, the middle layer to the base and enjoy! Here's a similar card that I made with Stampin' Up! Pale Plum and Perfect Plum inks and Elegant Eggplant card stock. Enjoy!